 The Direct Selling Companies Code of Conduct towards Direct Sellers, between Direct Sellers and between Companies (hereinafter referred to as the “Code”) is adopted by the Lithuanian Direct Selling Association, which is a member of Seldia – the European Direct Selling Association, following European Direct Selling Code of Conduct towards Direct Sellers, between Direct Sellers and between Companies. The Code concerns the relations between direct selling companies and direct sellers, between direct sellers, and between direct selling companies. The Code is aimed at the protection of direct sellers, the promotion of fair competition in the framework of free enterprise, the ethical representation of the direct selling industry’s earning opportunity and the enhancement of the public image of direct selling, which is to sell quality products on fair terms and conditions to consumers. (1) Direct selling means any selling method which is based on the explanation or demonstration of products to a consumer by a salesperson, hereinafter called ‘direct seller’, away from business premises, typically in the consumer’s home, in that of another consumer or at the consumer’s plane of work. (2) Consumer means any natural person who buys products for purposes which can be regarded as outside his trade, business or profession. 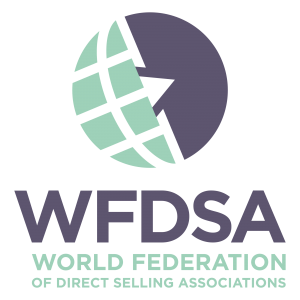 (3) LDSA – Lithuanian Direct Selling Association is national association of direct selling companies which represents the direct selling industry in Lithuania and which is a member of Seldia. (4) Company means any business entity which markets products associated with its trademark or service mark or identifying symbol through a distribution system based on direct selling and which is a member of LDSA. (5) Distribution system means any organisation and methods designed for the marketing of products. (6) Direct seller means any natural or legal person who is member of the distribution system of a direct selling company and who sells, facilitates or assists in the sale of products of that company away from business premises, typically in the consumer’s home, in that of another consumer or at the consumer’s place of work. (7) Earnings means any income achieved by a direct seller. Earnings may be in the form of commissions, trade margins, fixed payments, overrides, rewards, bonuses or in other forms. (8) Product means any good, tangible or intangible, or service intended for sale to consumers. (b) not intended for resale to consumers. where this payment is required from a direct seller when he enters the distribution system of a direct selling company or, on a periodic basis, as a condition for continued participation in that distribution system. (11) Recruiting means any activity conducted for the purpose of offering a person the opportunity to become a direct seller. (12) Code administrator means an independent person or body appointed by LDSA to monitor member companies’ observance of the LDSA Code and to resolve complaints under the Code. Every LDSA member company pledges to abide by the Code as a condition of admission and continuing membership in the LDSA. Every LDSA member company shall be required to promote to the public its LDSA affiliation and this Code. The Code is a measure of self-regulation by the direct selling industry. It is not a law, and its obligations may require a level of ethical behaviour which exceeds existing legal requirements. Non-observance does not create any civil law responsibility. With termination of its membership in the LDSA, a company is no longer bound by the Code, the provisions of which remain applicable to events or transactions occurring during the time a company was a member of the LDSA. The Code contains standards of ethical behaviour for direct selling companies and direct sellers. LDSA pledges that it will require each member as a condition of admission and continuing membership in the LDSA to comply either with; the National Codes wherever the company is member of a national DSA; the European Codes wherever within the European Economic Area (EEA) the company is not a member of a national DSA; the World Code wherever outside the EEA the company is not a member of a national DSA. Companies and direct sellers shall not misrepresent the actual or potential sales or earnings of their direct sellers. Any earnings or sales representations made shall be based upon documented facts. Companies shall give to the direct seller, at the start of his activities, a written agreement, signed by both the company and the direct seller, or a written statement. The written agreement or statement shall contain all essential details of the relationship between the direct seller and the company. Companies shall inform their direct sellers of their legal obligations, including any applicable licenses, registrations and taxes. Companies and direct sellers shall not require Direct Sellers or prospective Direct Sellers to assume unreasonable high entrance fees, fees for promotional materials or other fees related solely to the right to participate in the company’s business. Any fee shall represent reasonable value. Any fees charged to become a Direct Seller shall relate directly to the value of the materials, products or services provide in return. The direct seller shall have a period of at least seven calendar days in which to withdraw from his agreement without penalty and without giving any reason. The period for exercise of this right shall begin from the day of conclusion of the agreement. The direct seller shall inform the company in writing of his decision to withdraw from the agreement. Where the right of withdrawal has been exercised by the direct seller, the company shall buy back all products and business aids that the direct seller purchased at the start of his activities. The company shall reimburse free of charge all sums paid by the direct seller. The company shall however not be obliged to buy back products and business aids if they are not in their original, new and unused condition. Notwithstanding the direct seller’s right of withdrawal (B.g), should a direct seller decide to put an end to his relationship with the company, the company shall buy back all products purchased by the direct seller within the previous twelve months. The terms of this buy-back will be that the direct seller will receive a minimum of 90% of the purchase price, less any earnings or benefits received by the direct seller based upon the purchase of the products being returned. The company shall however not be obliged to buy back products if they are not in their original, new and unused condition. Companies shall provide adequate education and training to enable direct sellers to operate ethically, including information on the applicable codes of ethics and on the market concerned and the product. Training may be accomplished by training sessions, written manuals, guides, or audio-visual material supplied at a reasonable price or free of charge. Direct Sellers who sell company approved promotional or training literature, whether in hard copy or electronic form shall: (1) utilize only materials that comply with the same standards to which the Company adheres, (2) refrain from making the purchase of such sales aids a requirement of downline Direct Sellers, (3) provide sales aids at a reasonable and fair price, equivalent to similar material available generally in the marketplace, and (4) offer a written return policy that is the same as the return policy of the Company the Direct Seller represents. Member companies of the LDSA are requested to act fairly towards other members. Companies and direct sellers should not entice away or solicit any direct sellers by systematic enticement towards other companies’ direct sellers. Each member company and pending member company is required to designate a LDSA Code Responsibility Officer. The Code Responsibility Officer is responsible for facilitating compliance with the Code by their company and responding to inquiries by the LDSA Code Administrator. He or she will also serve as the primary contact at the company for communicating the principles of the LDSA Code of Ethics to their independent salespeople, company employees, customers and the general public. LDSA shall provide a person responsibility for complaint handling. LDSA shall make every reasonable effort to ensure that complaints are settled. LDSA shall appoint an independent person or body as Code Administrator. The Code Administrator shall monitor companies’ observance of the Code by appropriate actions. The Code Administrator shall settle any unresolved complaint of direct sellers based on breaches of the Code and shall furnish an annual report on the operation of the Code. Companies, LDSA and Code Administrators shall establish complaint-handling procedures and ensure that receipt of any complaint is confirmed within a short time and decisions are made within a reasonable time. Complaints of a company about another company or LDSA shall be resolved either by the Code Administrator or an independent arbitrator, according the LDSA procedures. LDSA shall publish the Code and make it known as widely as possible. Printed copies shall be made available free of charge to the public.